In 1976, master painter Erik Nielsen decided to donate his entire collection of amazing old motorcycles to Stubbekøbing Town Council on condition that the council found a suitable home for the collection. 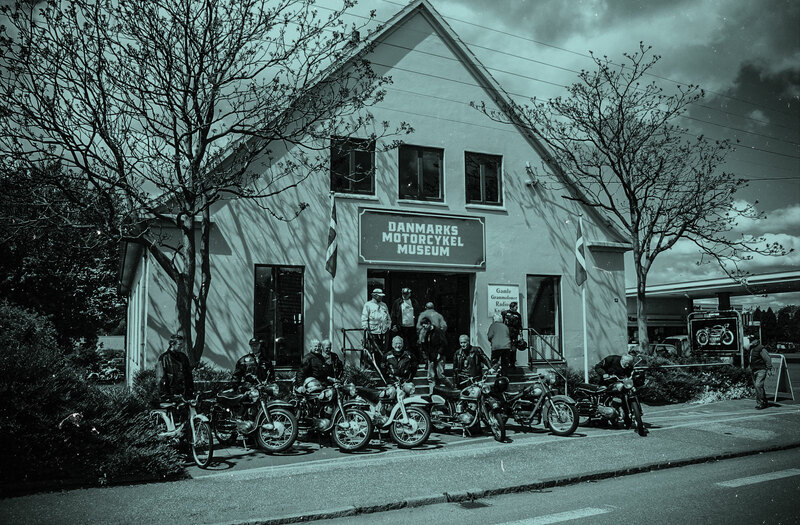 So in 1977 the Council could proudly inaugurate the Stubbekøbing Motorcykel Museum. In 1983 the Museum was expanded to include a large collection of rare old radios, loudspeakers, gramophones, televisions etc. donated by radio dealer Benny Ahlburg. In the following years the Museum has increased its collection of motorbikes from 80 to 230, of which there is space to exhibit about 170. In addition there is a display of about 60 separate motorcycle engines and 25 mopeds.